For those who do not know, Swift Reach is our automated phone system that can send recorded phone messages to all residents whose phone numbers are on record in the Resident Directory. If you are not listed in the Resident Directory you need to ask for a Change Form from any lobby desk and specify on the form that this is “for Swift Reach only” and return it to the lobby desk. If you want to be listed in the Directory, add your apartment number, and email address, if you have one, without stating “for Swift Reach only”. Not all Alerts are Campus-wide, they may be limited to the area of the circumstance. Speakers still present in buildings will not be used. They are antiquated and are not reliable. During power outages, if your phone requires electricity IT WILL NOT WORK. Phones which are connected to a phone jack in the wall (photo A), and do not require electricity to function, will work when the power is out. 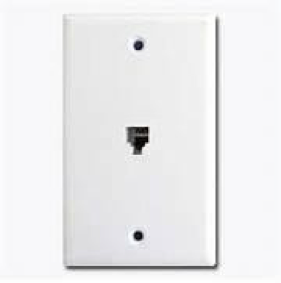 Keeping a standard, corded phone available can be a lifeline simply by hooking it up to a phone jack (photo B). These particular phones can be purchased on-line, in local retail outlets or at the Treasure Chest in Brookside for under $10 for those who may need one. 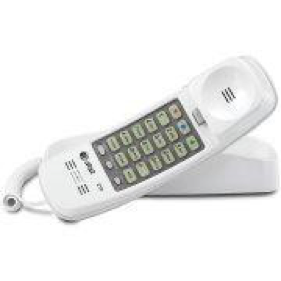 Wireless phones are powered by electricity and connected to your phone outlet and will not work as the unit that plugs into the phone socket (the base station) also needs power to operate and does not tend to have a battery backup (photo C). A fully charged cell phone will work during power outages. Residents may chose to list this number for “Swift Reach only”. Recently, General Services has added the Swift911 Text Alert Program that allows them to notify you via Text in these type situations if you have a Smartphone. You just send a text to 443-947-3474 stating “Add” and a text reply will state “confirmed”. If you do not receive a reply text, then repeat your text using all caps in “ADD”. One important preparedness step is to put together an old-fashioned contact book so when your cell phone is drained of power you have phone numbers for loved ones available for you to call. 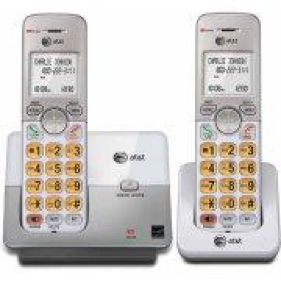 Now, in case you do not hear the Swift Reach message in its entirety or your voice mail message was cut off, call the Alert Line 410-314-7944 to hear the message. If you learn later that there was a Swift Reach Alert and your phone records indicate you did not get the call, you may contact General Services to have them verify if the call was made and to which phone number of yours was dialed.